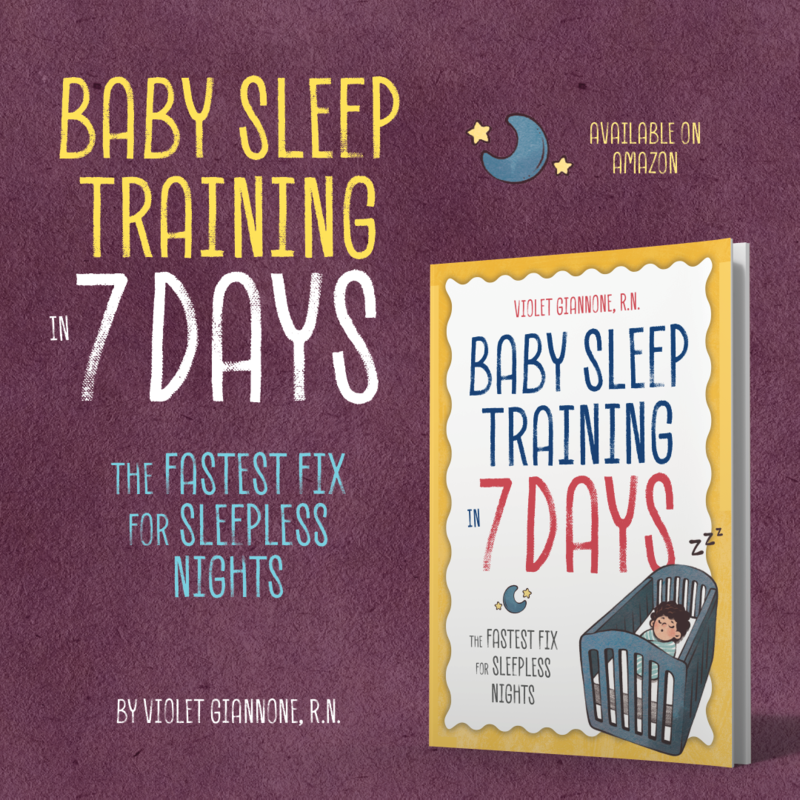 Everyone always thinks that baby sleep training has to involve letting your baby cry it out. The truth is, you don’t have to let your baby cry her little head off, to get her to start sleeping through the night. I’m going to introduce some gentle sleep training methods and techniques that don’t involve leaving your baby to cry. I like to call these methods no cry sleep solutions. 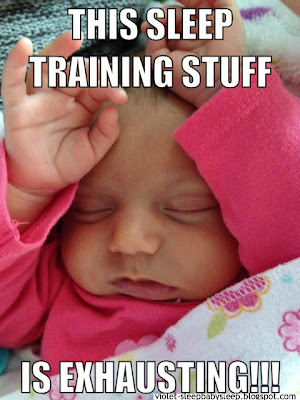 Forget what other moms are saying on baby forums, no cry sleep training is possible! Here are my top baby sleep training methods. This is something that works great for very young babies(0-2 months). This is not really a method, but it’s an important aspect because it helps a baby feel secure, which makes falling asleep much easier. A “womb-like” feel, is all some babies may need to sleep well. So here are some ideas to achieve this. Always keep safety in mind. Swaddle your young baby nice and snug, a HALO SleepSack works great for this. For older babies that are rolling, a sleep sack works well. Slightly elevate the head of the bassinet, co-sleeper, or crib. Your baby didn’t sleep flat in your belly, don’t think she’s going to love sleeping flat in her crib. You can use folded towels under the mattress. If you have a co-sleeper, you can take off one set of the leg blocks. Just a slight incline will do. Again keep safety in mind, you don’t want your baby sliding down. Turn on some womb sounds or white noise. Babies love white noise! For newborns, place a rolled up receiving blanket on each side of the body (armpit level), which makes your baby feel as if you are holding her. Since I am a strong advocate of the SIDS campaign and believe a bare crib is best, this is only appropriate for newborns because they don’t yet wiggle enough, where this can pose a danger. And I would only implement this during the day when you have a close eye on your baby. This is a gentle sleep training method made popular by Tracy Hogg. It involves you picking up your baby when she cries, comforting her, and putting her back down when she calms down. You do this over and over until your baby falls asleep. I know what your thinking, this sounds exhausting. And it can be, but eventually your baby learns that when she cries, you are right there to comfort her. She learns that you won’t desert her when she cries for you, and she will feel safe to fall asleep on her own. This is a great gentle sleep training technique. This technique is used to calm your baby down when she is crying. For an “easy” baby, you can use this method alone. For a more difficult baby, you may want to use this in combination with another method. But the general idea is that, you make a shushing noise which mimics the sound of your womb and acts as white noise for your baby. You can also pat your baby, or leave your hand on her back. This lets her know, you are there and you are not leaving. This works great when you don’t want to pick your baby up from the crib, to give her a chance to calm down, and learn to self settle. With this method the idea is that you eliminate “sleep props” or sleep associations that cause your baby to wake multiple times at night. However a baby falls asleep, is how she will expect to fall back asleep when she wakes up in the middle of the night. So if your baby nurses to sleep, she will want to be nursed back to sleep, even if she is not hungry. Since babies have shorter sleep-wake cycles than adults, they wake up many times at night wanting to be put back to sleep by that particular “sleep prop”. Teaching your baby to fall asleep on her own is key. A baby that falls asleep in your arms and wakes up in her crib becomes very alarmed. Just as you would if you fell asleep in your bed and woke up in your back yard. So with this method, you lay your baby down “drowsy” or very sleepy, but making sure she is still awake. This does two things. First, it gives your baby the opportunity to self soothe and fall asleep on her own without any “props”. Second, it allows her to fall asleep in her crib so that she doesn’t get alarmed when she wakes up in the middle of the night. For babies that have been nursed or rocked to sleep, this is obviously not going to be as easy as just laying them down. You are probably going to have to use one of the methods above in combination. PUPD is a good one to add to this. All of these gentle, no tears sleep training methods take some time, commitment, and consistency. It’s obviously alot easier to close the door and just let your baby cry. I don’t know about you, but I would much rather put in some work, than leave my child alone to cry her head off until she falls asleep. Bedtime should be a relaxing, calm, and cozy opportunity for you and your child to connect. Not a dreaded, all out crying disaster. I have had great success teaching my baby to sleep using very gentle, no tears sleep training techniques/methods. My first baby was a very stubborn, strong-willed little girl. I thought it would be impossible to get her to sleep through the night when she was already 9 months old and still waking every 2 hours. Her habits were so set, on top of her strong personality. She insisted on being held, nursed, or rocked back to sleep. I used a no cry sleep training approach and within a week she was falling asleep on her own and sleeping through the night. And now I use my techniques to help clients all over the world! It’s not an easy process, responding appropriately to your baby’s wakings is extremely important. Also, every baby is different. So what may work for one baby, may not work for the next. Age too, plays a huge part in the process. You can’t expect a 3 month old to respond, the same way a 9 month old will. Some techniques are appropriate for younger babies, but will not work for older babies, or vice versa. I learned that helping your baby sleep, is more than just reading about a few techniques on the web, and trying them out. There are many different components to consider, and it’s a process. If you don’t consider your baby’s age, development, or temperament, you can use the PUPD technique till your arms fall off and your baby still won’t sleep. 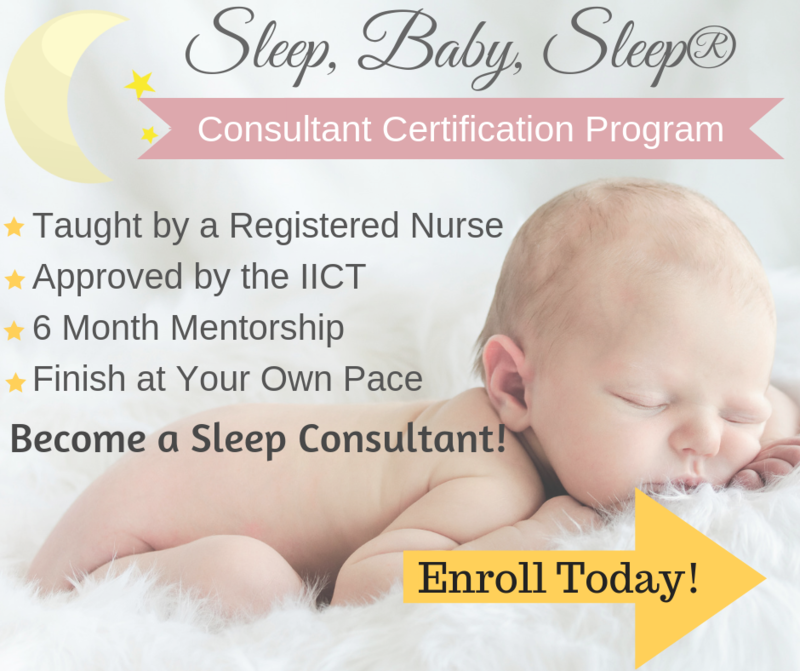 For that reason, I offer customized sleep plans and consultations to help parents with the entire process. I offer tons of advice on my site, but after numerous of emails, I realized that everyone’s situation is very unique. 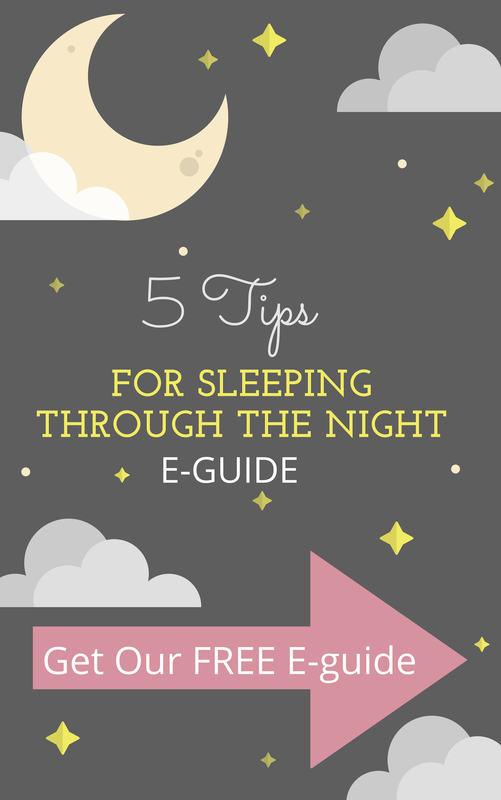 So if your baby is still not sleeping well, I would be glad to help! Please take a look at my Baby Sleep Consultation Packages or see what others are saying about how I have helped them on the Testimonials Page. Cry it out is not the only option, no cry sleep training is possible!!! Violet, an awesome page first off. 2ndly he is 13 months and wakes up BAWLING. I am going to begin with the pre sleep routine, and bed at 8 rather than 9-930pm. When I lay him down, he is drowsy but awake and my hand on his stomach or back is the soother. Should I just sit beside the crib and let him jump and play until he goes out? Thanks for any advice. Rob in ohio. Hi Rob! I'm glad you like the site. Dealing with babies over a year old, can be tricky. He may do well with you sitting by the crib until he tires out, or he may get more upset because you are sitting there and not giving him what he wants (which is for you to soothe him to sleep). If staying in the room gets him more upset, try leaving for a few minutes at a time to see if perhaps he will try to figure out how to fall asleep on his own. Initially, there will be some crying, but rarely at this age does a baby cry because they are scared, they are crying because they don't like the changes you are implementing and it's more of cry of anger and dissatisfaction. If he was sleeping fine before and this is all new behavior, than you might want to investigate some other causes. You can read my article titled "Sleep Regression" or Most Common Reasons Babies Wake Up" Good luck! My daughter is 9 months old and I have been extremely lucky up to this point – she has been sleeping through the night since almost 12 weeks old! However, in the past week or so, she has started waking up 1-2 times per night and it takes at least an hour to calm her down and get her back to sleep. She wakes up crying and immediately stands up in her crib which gets her even more awake. I go in and lay her down and shush/pat which occasionally works, but usually I end up picking her up and rocking her to sleep because she is flopping around wide-eyed and awake. Rocking doesn't even always soothe her, she cries and flops in my arms while I'm rocking. Before she started standing up on her own, she would flop around and put herself back to sleep, but now she immediately stands and can't put herself back to sleep (even though she can sit herself down now). Is this just a regression??? Please tell me this will end! 2nd part – even though she has always been a good sleeper, she will not fall asleep on her own. Even when I put her down drowsy but awake and shush/pat, we end up doing the same routine I stated above, picking her up and rocking her, etc. and it takes quite a while to put her to sleep. She cries when I rock her and cries when I put her down! Any advice? Violet, i want to start training my 12 month old for her naps and night time but i am unsure where to start. I decided to go with the PUPD and put down drowsy. (I use to nurse her to sleep) should i start with night time and then try naps when we have mastered the night time or do it all together? When i pupd … Do i hold her as long as it takes her to stop crying and what happens if she starts crying as i am laying her back down in her crib? Hello! I love this page! My 3 month old has had problems sleeping because we never put her down when drowsy and I was feeling so lost about what to do. I started doing the PUPD method. My baby is about 3 1/2 months. Is she old enough for this? She has don epretty good with it but I dont want to expect her to self soothe if she is too young. Thanks! Glad you like the page! She is not too young, my 2nd baby was falling asleep on her own within the first week of birth. Since you have been putting your baby to sleep she now has to get use to the idea of trying to fall asleep on her own. Might take a little while, but she's definitely not too young. Good luck! Hello Violet! I have a 3.5 months twin boys. So far they get to sleep in my arms with the pacifier and Im starting to put them down when they are starting to close their eyes. My idea is to start putting them down a little bit more awake each time. the thing is that all the methods explain the steps for one baby only, and for twins there are many variables that are different. Can you pls give me some recommendations on what method to follow or how can I get info for twins trainning. Hi Chela! The process is pretty much the same. You tend to one baby, then the other, taking turns. If one is more fussy, you tend to that one first. If they are both fussy, you do the best you can, and set a goal of how much time you want to spend with each. Say for example 5min with each baby before you switch. Hope that helps answer your question. Great site! We have a 5 nearly 6 week old daughter. We have just been to a sleep clinic but I still have loads of questions. We have been working hard at encouraging her to fall asleep independently. She's young I know but the issue is not that she cries a lot and needs to be calmed. Rather we can get her calm but then she just stays awake. We have made sure her room is quiet, dark and we have central aircon so it should be a good space. Mostly if we leave her, she will eventually fall asleep. I don't know if there is a limit though, like if she still hasn't fallen asleep after 30 minutes, should I do something. If she cries out I go to her of course but if she is just hanging out in there is that ok? Similarly if she wakes but doesn't cry out do I go to her or just leave her be? Reading and loving this site! I have a 11 month old son, L, who has never slept for long stretches at night (our older son didn't either until he was 2, but from 2 till now at 7 he sleeps 11 hours straight every night). L gets a bath around 6:30pm and is very very tired so he usually gets a 6 oz bottle of whole milk (he self weaned at 9 months) and goes down awake but drowsy. He rolls around for a bit, then falls asleep on his belly. We had a glorious week of him sleeping for a 7 hour stretch, bottle and then another 2 hours. Now it's back to waking every 3 hours, screaming and standing in his crib, until we get a bottle and he drinks anywhere from 4oz – 6oz of milk and then going back to sleep to wake at 5am. He has a white noise machine in the room, his lovey (it's a cuddle sleeve that he plays with and usually sleeps on), and a pacifier. Any thoughts on how to make this easier on him? I'm wondering if he's just going down to early. Should we try to make 6pm a nap, even if it's 2 hours and then do some play time, bath, and back to bed? Just not sure of anything. My daughter is 3 months old and we've been carrying/ rocking/ bouncing her to sleep. We never used a pacifier though. I am now trying to teach her to self-soothe. I was following your tips on shush/pat but it was hard to watch her cry or get her to sleep so resorted to using the pacifier instead of rocking. This works, but I'm dismayed to succumb to paci use. Is there any other way to teach my baby to self soothe without letting her cry it out? Thanks so much for this great site and introducing me to sleep sense. My 6 week old daughter couldn't go to sleep without her paci and would wake up every 30min during her day time naps wanting it put back. I took the paci away, have been doing the sleep sense programme and have been using the PUPD method for 2 days now. It has been going much better today and she no longer screams to a point where a struggle to calm her for the paci. My question is am I laying her down when she is too drowsy? She is pretty much on the verge of sleep just before I put her down, when I lay her down she opens her eyes stirs for a few seconds then sleeps (only from day 2). Should she be more awake when I lay her down? Thanks so much for your response. Ok just worried she might want me to rock her before every nap to make her drowsy. Last night I put her down awake and she fell asleep on her own, took her 30min but she did it, yay! She hasn't done it again but I am confident it will happen soon. Thanks so much for your site you are an angel. I have been recommending your site and sleep sense to all my friends as I cant believe the results I have seen in just 2 days. That's great progress! Great job! Im new to the page, but my 13 month old has been having 2 naps a day for 4 months, just recently hes started refusing a morning nap, which is fine and all. Its more when were putting him to bed at 8, he fights it for almost 2 hours, we were rocking/patting him to sleep in our arms and laying him down asleep, and he would sleep through for 12 hours. Im just unsure how to go about getting him to sleep on his own in his cot, he uses a dummy, purely for naps and bedtime and self soothes at night when he wakes but he refuses to go to sleep on his own to begin with! Im very frustrated as the nap drop and refusal to go to sleep being cuddled etc has come at once! Help! I had the same problem with twins, and what I found to work was to focus on one baby at a time. I started sleep-training with the "easier" baby. I put the fussier one in the swing in a nearby room, and then worked with one baby in the crib for naps. Once this baby had learned to fall asleep by herself, I focused on the other one. (I separated them for naps–one in crib, one in pack-n-play in another room–until they were both trained). This takes longer, but I really wanted a low-cry method, and I found that one baby wouldn't calm down easily if the twin was upset, and there was no good way to soothe both of them while teaching independent sleep. Now (18 months) they still both love to sleep and will actually stand at their cribs, bouncing in excitement and demanding "UP!" at naptime and bedtime. Has he ever gone to sleep on his own? Getting him to do that by choosing a sleep method of your choice would be a great start. Please refer to my article "How to teach your baby to fall asleep independently". Dropping the nap is normal, babies drop the 2nd nap around 12-18mos. My baby a little earlier 10mos:) Good luck Kristen, please let me know if you need anymore help! Hi, I have a 6 week old. She fights sleep like nothing else! You mentioned fighting sleep as a sleep regression thing, but it seems like the wrong age and I don't think she's regressed – she's always woken herself up when I set her down. When she was born I needed sleep desperately, so I was basically doing the PUPD thing, except I'd usually wait until her eyes were closed. She obviously was never very asleep because she'd wake up even as a newborn. Now this usually happens several times… she stirs after I lay her down. Sometimes I can keep her asleep by blocking her little hands from rubbing her face. But now she's adding stretching and kicking. She's getting too good at fighting sleep for me. And she's not overly fussy when she does it! But when she's awake and I try to settle her down, she cries MORE. Anyway, I don't know what to do! I kind of was wondering if the PUPD thing taught her to keep herself awake or something. Maybe I have been waiting too long before I lay her back down? Our 3 month old falls asleep on his own great. We have a solid bed time routine, usually around 8:45pm. We do quiet time, lotion/massage in a dim room, pajamas, book, bottle, the sleep sack, then lay him down drowsy but awake. We have listened, on many nights, to him babble himself to sleep, taking no more than 5 minutes or so. He has never slept through on a regular basis, but we have worked to cut out middle of the night feedings since, nutritionally he doesn't seem to need them, he just wakes up out of habit. It used to be around 3 or 4am he would wake wanting food, now for the past 2 weeks it's around 12-1am. He doesn't act hungry, just mad and it takes sometimes a good 30-45 minutes of trying to calm him until he calms down. Once we get him calm we put him back down, drowsy but awake and he'll fall asleep within minutes and then sleep until 5:30, 6:30, or sometimes later. How can we find an easier/quicker way to calm him down or in effect cut out this nightly routine? Is 2.5 months too young to start sleep training? Thanks. There's many components to sleep training like having an age appropriate sleep schedule, making sure your baby is meeting daily sleep requirements, teaching her to fall asleep on her own and responding to wakings appropriately. Please consider a sleep plan, I would be glad to help you through the process. Hi. Yesterday I got my son sleeping in his cot for a nap for the first time by using a nursing PU/PD combo. E.g. I nursed till drowsy, put down, but he screamed, so picked up, nursed till drowsy etc.. till I could put him down without him crying. I then had to shh and hold till he fell asleep. Do you think this is an appropriate plan? The danger is he could easily fall asleep feeding, but without he just gets too wound up. Love the site! Thank you for all of the great information. It's also just nice to know that you aren't alone in struggling to get kiddos to sleep! My son is almost 8 months old, and I know that I am his sleep prop. It started when he was sick, and I began to lay with him or bring him into our bed to get him to get some good sleep, and now, it's a disaster! At night, he will sleep for a bit alone in his crib, but when he wakes up, he cries for me, and even when we let him cry and go in to comfort him every 5, 10, 12, 15, etc., he will NOT give in and gets himself so worked up that I end up caving in after an hour or 2, and I bring him in by me again, thus starting the cycle all over again. I am just wondering if I should just keep trying to let him cry until he eventually falls asleep even if it is hours. Is that the only way to break him of this? He can put his own paci in his mouth, but that doesn't seem to soothe him, so I know that he wants me. I am feeling pretty helpless at this point and feel like a monster when I let him cry and he gets so upset that he's just sobbing for an extended period of time. Help! Not sure how much help I need….our son has been a terrible sleeper and napper since the day he turned 5 months old! (He is now 11 months) He needs to be rocked/nursed to sleep and wakes anywhere from 1-5 times every night…we have resorted to co sleeping as crying it out is not something we believe in though naps are still super tricky as we also have a 2.5 year old who I can't always just leave on her own to play while doing a 30 minute cool down with our son! Any advice? I never let my kids cry it out, but there were times I got very little sleep since they nursed on demand. I definitely needed some ideas for getting them to sleep for longer stretches! Hi violet, I have a 4 moths baby girl. She's a cat napper and wakes up drowsy but strong enough to fight her sleep and fuss. She falls asleep feeding and wakes up frequently to be fed at night. I introduced paci but every time it falls out he cries frantically and wants the whole process of rocking bouncing and feeding. I want to put her down awake but sleepy but she knocks out quick. Which method do u think I should use? Hi Violet, i'm in desperate need of your advice. I'm a first time mom and do not have family support as we immigrated 3 yrs ago. My son who is 4.5 months weights 8.5kg only sleeps when we he is being held and i bounce him while sitting on the bed. The moment i put him down on the bed ( we co sleep although we have his crib in our bedroom) or even rest my back or arms he would open his eyes and protest. On average he sleeps 1 to 2 hrs for his naps but wakes up frequently when i move or change position while i carry him. I would then bounce him endlessly until he falls asleep again. At night he falls asleeps usually around 7 to 8pm and would not protest so much when we lay him down on the bed. He wakes up every 2 to 3 hours for a feed (im giving him ebm or formula). After his feed he would doze off immediately. During the day when he is not sleeping , He is happy to play on the floor or be on his bouncer. My arms and back are aching and i know its no longer healthy for him to be carried all the time. I am tied to him all day so i can't do anything anymore. I am also afraid that I'm bouncing him too much now. Please help. I have an 11 week old (14# so we do sleep wo the swaddle bc she has outgrown them- so she's in a sleep sack now). We are trying to transition her into her room in her crib. Until now she only prefers to sleep on my or my husbands chest. I can occasionally slide her off me to have her next to me and very rarely successfully have her in her bassinett next to our bed. I do not like her on us/in our bed due to safety and I feel as though it takes away from my relationship w my husband. In any attempt to put my baby down (I have tried awake but drowsy and totally asleep) – she immediately awakes and wails – the shush and pat and the pupd won't work – she looks up at me and wails. I have tried the recieving blankets, elevating the head of the crib, velour sheets… She is healthy – just will not sleep unless on our chests and I do not know what to do to help transition? I don't mind getting up through the night to feed her – I just wish I could sleep soundly during the time I'm not feeding her. My baby is 3 months old and 1 week. We rock the baby in his stroller for naps and he sleeps for 30 minutes (he hates his crib and starts crying the moment I even approach the room). At night I breastfeed him to sleep. He's quite temperamental and cries desperately if I try to use sleep sense methods. Shushing and stroking don't seem to work. I sometimes try Pupd but do not follow through really partially because he keeps on complaining and cries even harder and partially because I'm afraid he's too young. Is there hope for us? My 9 month old falls asleep on his own but wakes up 3-4 times during the night crying for a bottle, if I don't give him a bottle he just screams until I do.. PLEASE HELP! We are currently having great success with the womb like environment method but now that we are approaching the 2 month mark what is our next step? I know we will be moving her to her crib soon, will we just need to pick a different method at that point? Hello Violet. I love the information you have posted here because I feel that it speaks to what feels most natural to me as a mother who feels incapable of letting my little guy "cry it out" (for better or for worse). He naps well and goes to bed fairly easily but I am having trouble with him being completely addicted to nursing to sleep throughout the night. He tends to wake about an hour or two after going to bed and continues to wake in the night several times – because we co-sleep he tends to just nurse with out either of us waking too much. However, I am worried that this will be a problem when I return to work and my partner has him during my night shifts. I have been trying the PUPD method and nursing sometimes when he gets too upset with this but I am worried that I will teach him that if he cries enough he will get to nurse and therefore increase his crying… Or perhaps he is too young to really be this behavioral and I should be viewing this behavior in a different light? I think assuming that he is crying to get his own way versus assuming he is crying because not being nursed when he is used to nursing is very stressful for him, would change the theory that sleep training methods are based on. Maybe comforting him and gently showing him how to lay back down to sleep will guide him toward not finding it as stressful? I guess I am just struggling with different philosophies of understanding baby behavior and appropriate responses to their behavior. I mean, when he was stressed out about the sound of our blender, I didn't leave him to cry and keep on whipping my salad dressing in the blender in front of him. Instead, I brought him to the blender and turned it on low and talked to him in a positive voice and reassured him that there was no need for fear. If it was clear that he had enough, I backed off shut the blender down and we tried again. I don't think his crying was behavioral and him demanding that I shut off the blender, but rather him expressing his fear. So this changes how I respond to the situation. I felt he needed me to respect his limits and keep trying to expose him to the difficult situation until he reached his limit. It didn't take long for this to fully eradicate his fear of the blender. I think this is how I may approach sleep training, give him a chance to do it on his own, then calm him if he can't cope with it (by whatever means possible) and keep trying until he is no longer stressed out about not nursing to sleep. Does this line of thinking make sense from what you know about baby sleep? Your site offers so much advice that I will be trying but I swear my baby really does plot against me. He is 5 months now and STILL wakes about every 3 hours during the night like clockwork. I would start his bed time routine at 7pm- a warm bath then into his darkened room with his sound machine and light projector already on and I would then breastfeed him while I sing the ABC song. He falls asleep while eating and I would put him down into his crib with little to no problem by 8pm. I now understand that allowing him to fall asleep eating is not the best thing to do. His wake schedule is as follows: between 11:30pm-12:30am then again between 3am-3:30am and then he acts as my alarm clock at 5:15am. If I cannot get him back to sleep by patting his bottom I would end up nursing him. This has been his normal since about 3 months- about the time I went back to work- before he would do at least a 5-6 hour stretch and would only wake up once, usually around 3am. BUT HERE’S THE KICKER: When he was 4months my husband and I went on a 4night vacation and we left him with my parents and he SLEPT THROUGH THE NIGHT!! From 8pm until 4am or 5am he slept! My mom also watches him while we are at work and he would take regular naps but when I am home on the weekends he refuses to nap and wants all of my attention. Some nights are better than others but I have tried about everything from crying it out to dream-feeding to co-sleeping. I believe 100% that I am the reason but am lost as to what else to do. Love the site and the great tips. I have a 7 and half month old. She always falls asleep while feeding. If I put her down awake she just does a little dance and smiles because she has woke back up. She isn't a great sleeper. So for her whole life she has fallen asleep in my arms. How do I move to putting her down without holding her for hours? If I do put her down awake it normally means she isn't satisfied and will need more milk shortly. I just have to say thank you, thank you, thank you! My 3 month old would only settle with a dummy but would constantly spit it out and cry in the middle of the night over and over again for it so I decided the dummy had to go! After just one day of using your methods, she is now going to sleep in minutes and slept a full 10 hours last night. I’ve just put her down for her nap and it took less than 5 minutes! Fantastic blog with such brilliant advice! That’s great Kym!!! This comment just made my day. I love feedback like this. I love helping sleepless parents, so thanks for your comment and come back and visit if you need more help! We have a 4.5 month old who was sleeping consistently from 7:00 pm to about 6:30 am with a feed at 10:00 pm just before mommy and daddy went to bed. About couple weeks, that changed and she started waking up couple times at night and would fall right asleep once picked and rocked. However, last three nights have been terrible and she hasn’t been allowing us to even put her down in the crib. She seems asleep and the moment we put her down she starts screaming and wakes herself completely. We are at our wits end and not sure how do we soothe her. I clearly see that rocking and sleeping in our arms has become her sleep association but I am not sure how to get her off it as she goes from drowsy to mad the instant I put her down. Have you considered some gentle sleep training? I’m currently nursing to sleep and know I need to change. I have read just about all the no cry books out there. Just wondering what I do after I switch to feeding at the beginning of the routine. My 10 month old won’t be sleepy by the end of the routine so how do I help her get there? Shush pat worked until she caught a respiratory virus at 6 months which landed her in hospital and hasn’t had the same effectiveness yet. Can I ask if you think singing to a baby is a sleep prop? My baby has started going down alone and awake and I sing to him in his bedtime routine but tonight he cried out so I went back and sang to him again and he fell asleep during my singing so I’m worried he will now need me to sing him to sleep every time he wakes. I got rid of his dummy and I’m so proud of how well he’s doing without it but he does still wake frequently, it’s fine though as he’s only 5 months and is waking about 3 times a night so it’s not awful but I know he can go longer without a feed really. I have a 4 month old who will not sleep during the day- I have to rock her to sleep crying then she will stay asleep for 10 mins and be awake again then repeat the process over and over again I end up holding her or putting her in the carrier. She is now also crying when I try to breastfeed her from the second breast but I know she is still hungry. She can have an hour sleep in the carrier, be fed, changed then when I put her in the rocker or anything it’s max 15 mins and she gets upset again caz she’s tired. At nighttime she falls asleep feeding most of the time and wakes between 3-5 times. I just don’t know what to do! I’m getting exhausted and I’m going back to work in 3 weeks.